The four lessons Jesus taught in this section are basic to Christian living today. True servanthood means putting others first. Instead of being concerned with our own status, prestige, position or wealth, we should be considering those around us first. It also means being extra concerned with children and new believers no matter what their age. Jesus takes it very serious when we cause a child to doubt in God or when our actions push new believers away from God. 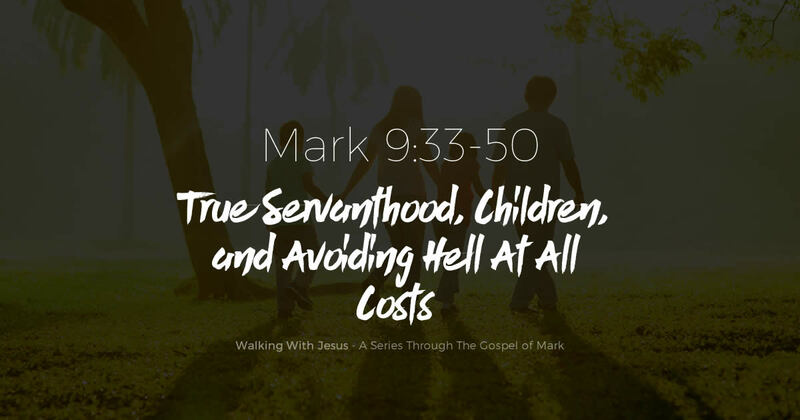 He also teaches us that one of the most important things we need to remember in this life is that avoiding hell at all costs includes sacrifice on our part. And sometimes that sacrifice is not just for our sake, but for the sake of helping OTHERS avoid hell at all costs as well. And finally how important it is to be at peace with other believers who believe in Jesus Christ and are sharing the true gospel of Jesus Christ with others. We are to be God’s salt on this earth which means we are peacemakers that are useable and purposeful, in accomplishing all that He has for us while still here on earth.